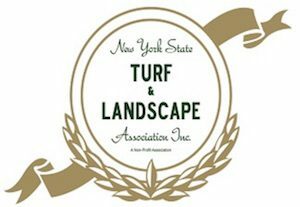 Call Lawn Green for commercial and residential landscaping services for your business in the Bronx, all of New York City and Westchester County. For big or small jobs, Lawn Green can help. Click on any of the services below for more information. We specialize in technically challenging landscaping over structures, rooftop gardens, green roofs, and wetland planting. Learn more. Our professional landscape services include custom landscape design, planning and implementing for homeowners and business owners. Learn more. Lawn Green offers commercial snow removal and ice management services to the Bronx and Westchester County, including White Plains, Briarcliff Manor, Mt. Kisco, and more. Learn more. We provide professional tree removal, tree pruning and tree trimming needs to residential, commercial and municipal property owners in Westchester County. Learn more. We gather leaves, branches and other debris from your lawn and landscape beds and remove them from your property. Learn more. We design and install landscape lighting to showcase your yard, garden or architectural features of buildings or homes. Learn more. 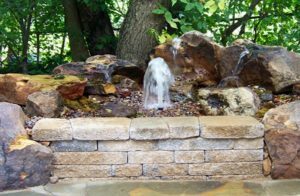 We do ponds, bubblers, fountains, and waterfalls and more. Water features offer a beautiful outdoor space where you can relax and unwind. Learn more. We design and install custom stone walls, concrete and paver walkways and patios. Our services include design, planning and installation. Learn more. We provide Custom Fence Installation and Custom Mailbox Installation to accent any residential property or commercial building. Learn more. We offer new irrigation system installation and year round service as well as repairs and maintenance for existing systems. Learn more. We can help restore dry patches on your lawn, get the weeds under control and install new sod. Learn more. Together with you, we will develop a harmonious plan for your grounds taking lawn, shrub and tree care into consideration. Learn more. 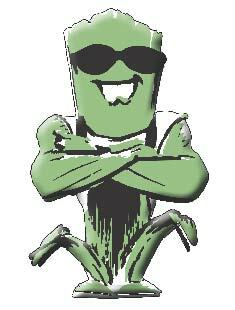 We provide safe, affordable, eco-friendly pest management control for your lawn, trees, shrubs, and gardens. Learn more. Rooftop gardens can provide relief from heat, improve air quality, and provide an inviting setting to relax in and enjoy the outdoors. Learn more.